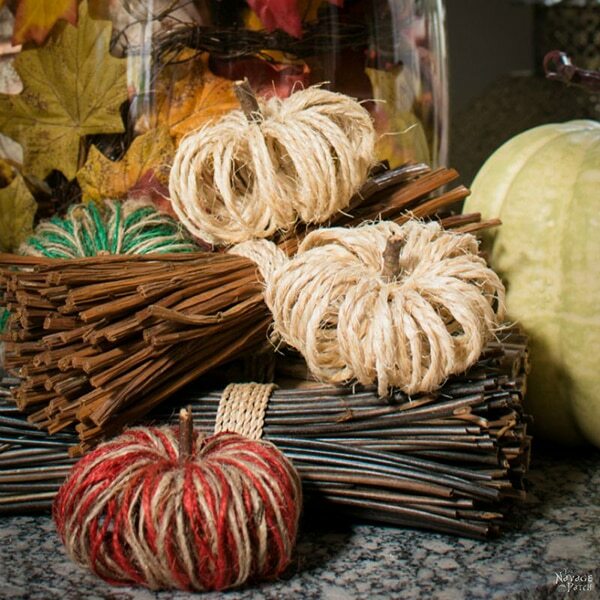 DIY Fall Decor can be easier than you think. 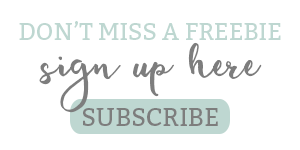 There are so many amazing tutorials out there by bloggers that are actually do-able. Crafts don’t have to be complicated. 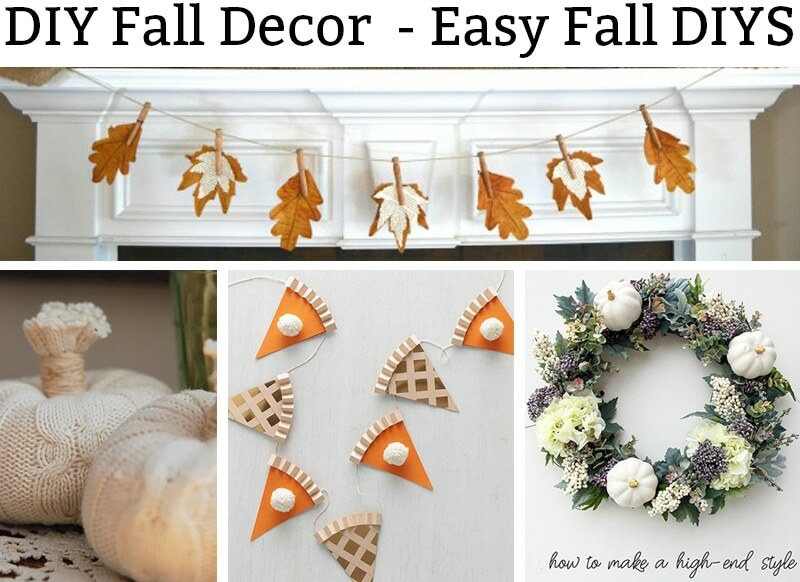 And these DIY fall decor ideas are far from difficult. Most of these projects are easy enough that any novice DIY’er can tackle and a few are for those with a little more experience. 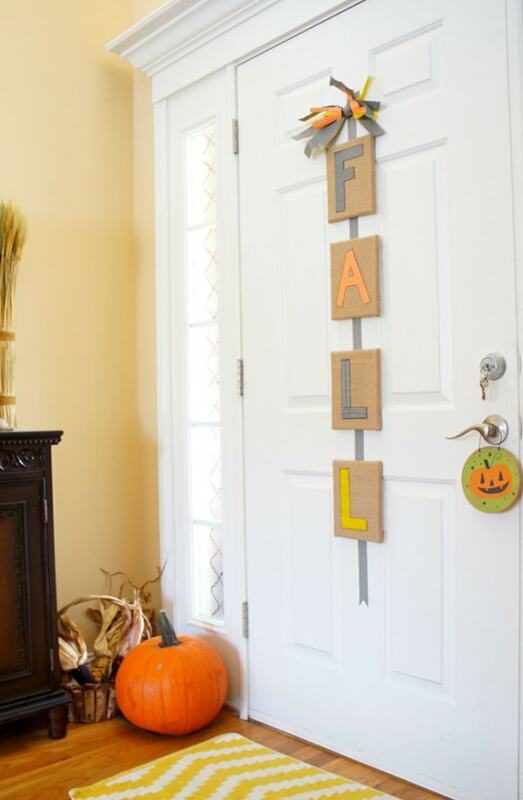 Looking to customize your fall decor this year? 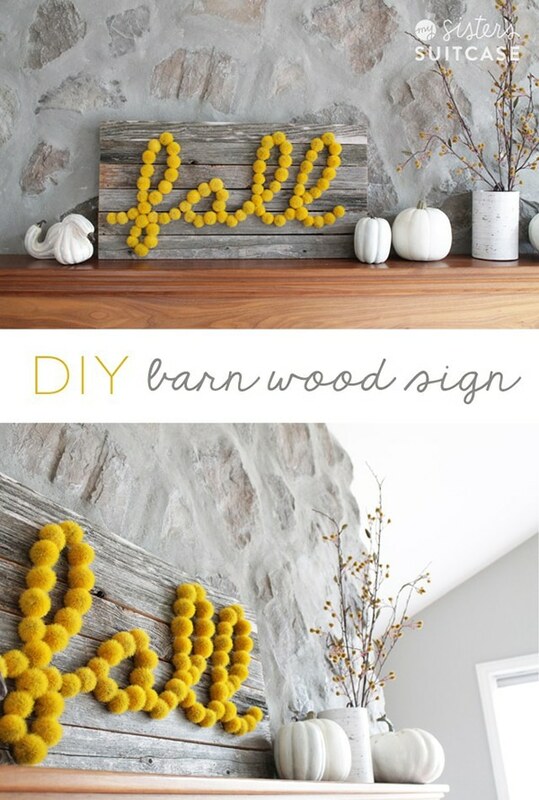 Then check out these easy fall decor DIY ideas to add instant character to your fall home decor. 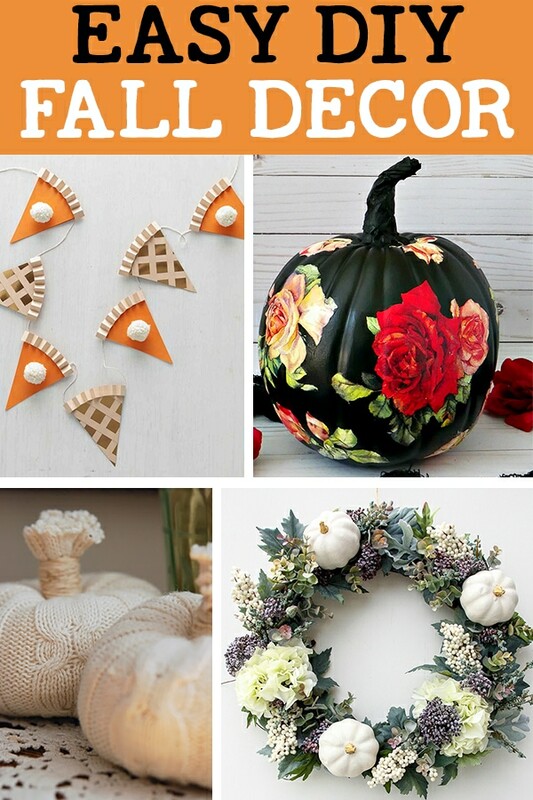 Can you believe these were made with dollar store pumpkins? They look so much more expensive. 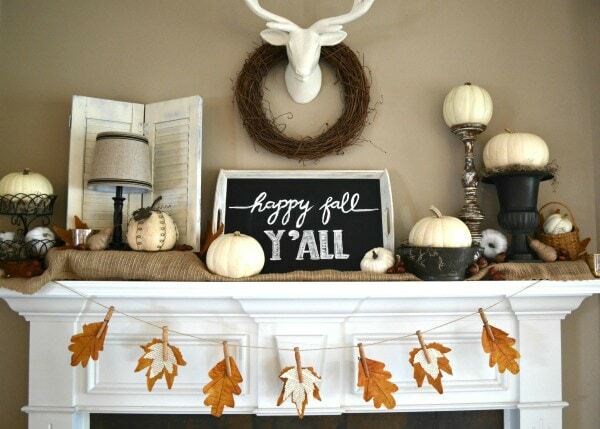 I simply love the color of the pompoms used to write fall. 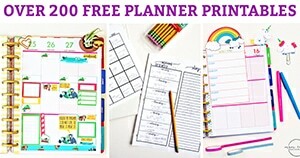 This is an easy DIY that is perfect for beginners. Do you have a lot of leftover corks you’ve been saving up? This would be a fun way to use them up. 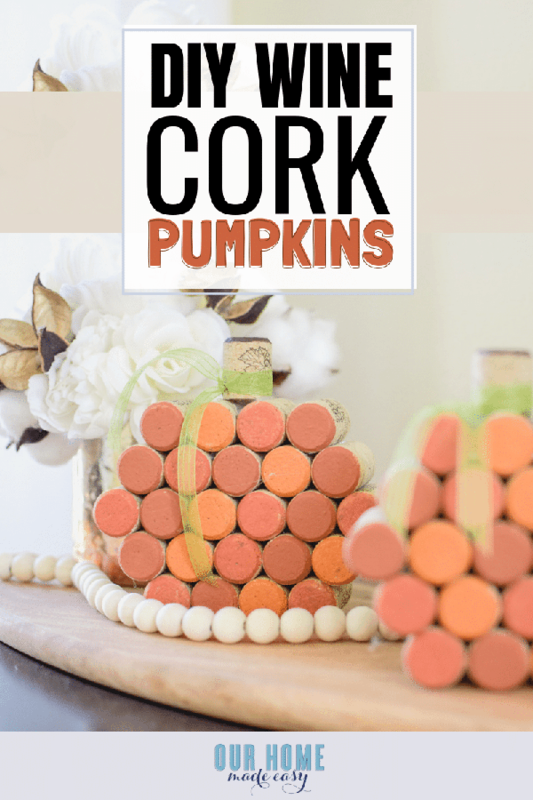 Wouldn’t it be cute to save corks from multiple holidays to create these? 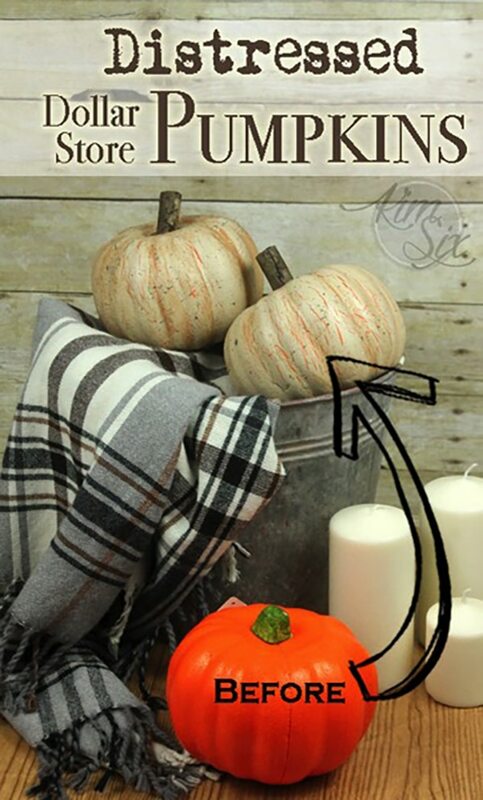 These pumpkins have such a rustic and simple look that would fit in well with a farmhouse style home. I am totally impressed with this project. My green thumb is pretty non-existent. 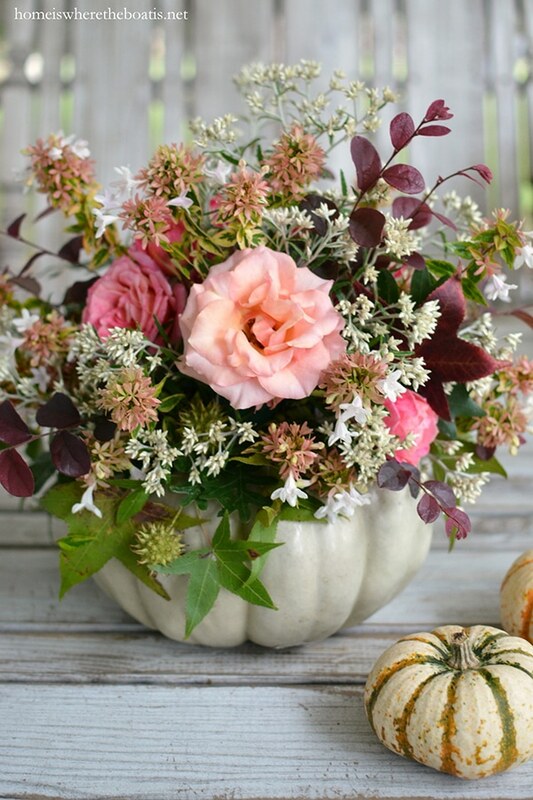 This adorable floral arrangement in a pumpkin would make an amazing gift – I know I would love to receive one. 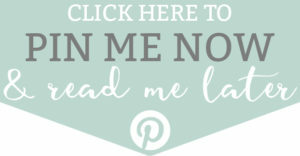 These book leaf banners would be a great addition to any home but would even extra special for a book-lover. This is an easy DIY project for people at any skill level. 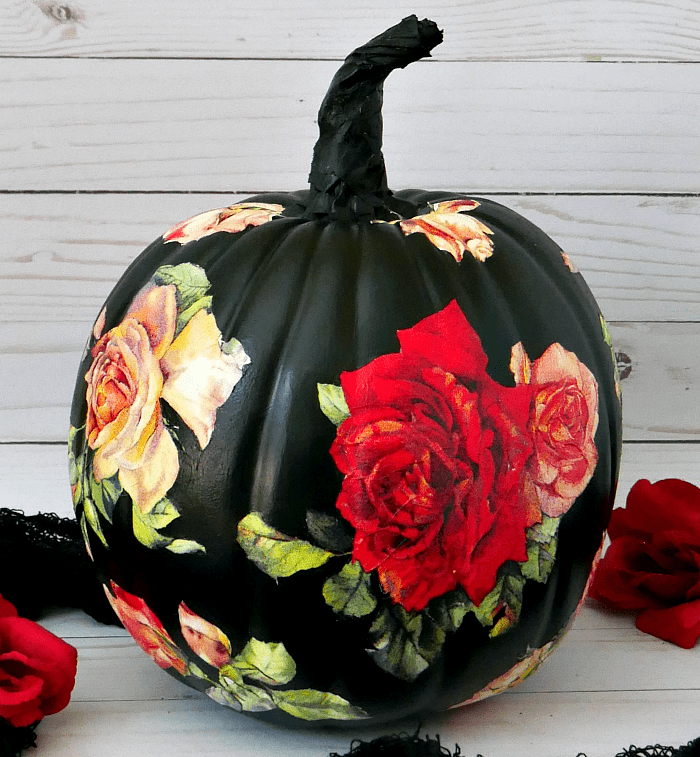 Oh my goodness, how beautiful is this black rose pumpkin? It looks straight out of a store. I would have never guessed this was made at home. Wreaths can get pretty pricey. 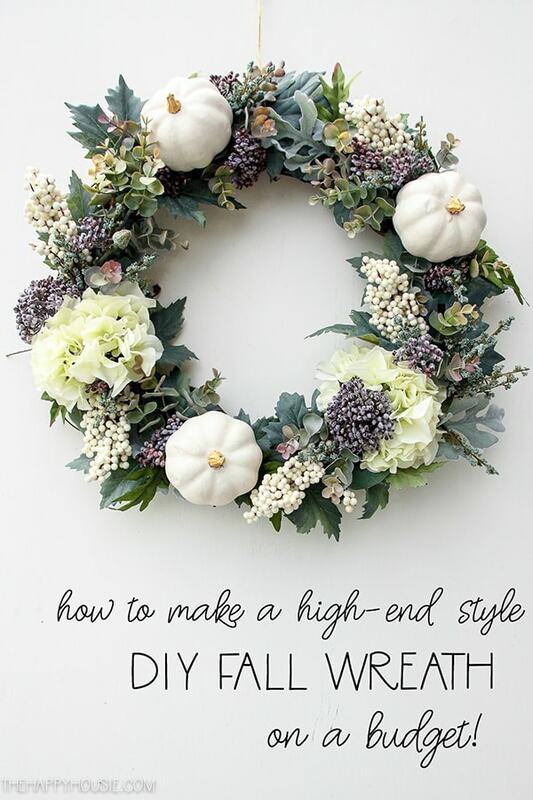 So why not try your hand at your own high-end looking wreath? You’ll save a lot of money if you DIY one yourself. 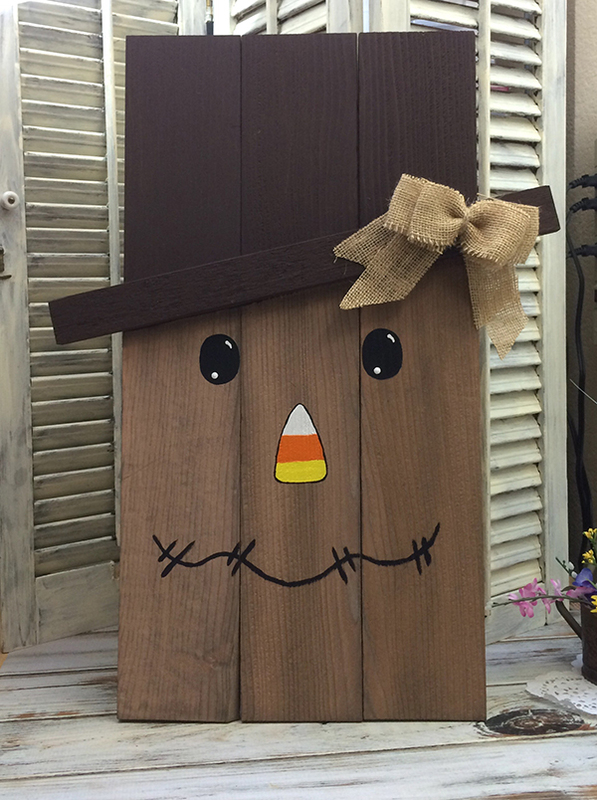 This would be a great craft to do with kids. 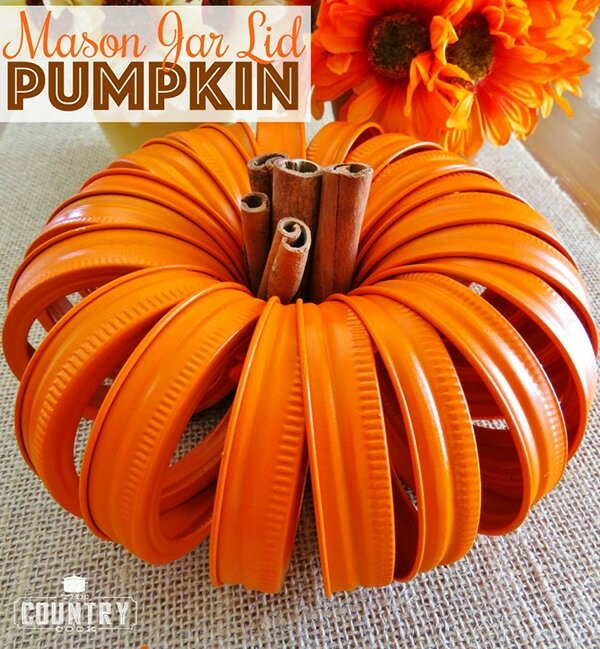 They could help you paint the rings for the pumpkin. Martha Stewart and her team are always coming up with creative crafts. 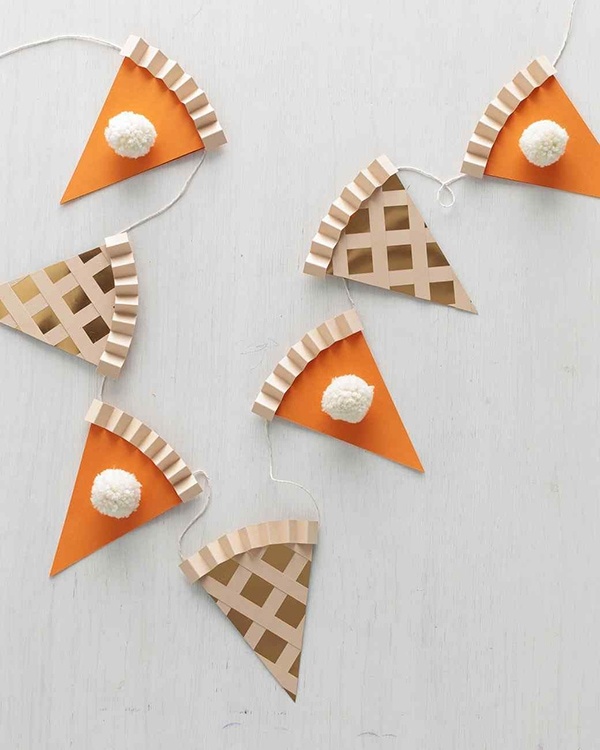 This is one of my favorite fall crafts on her site – aren’t these pies sweet looking? 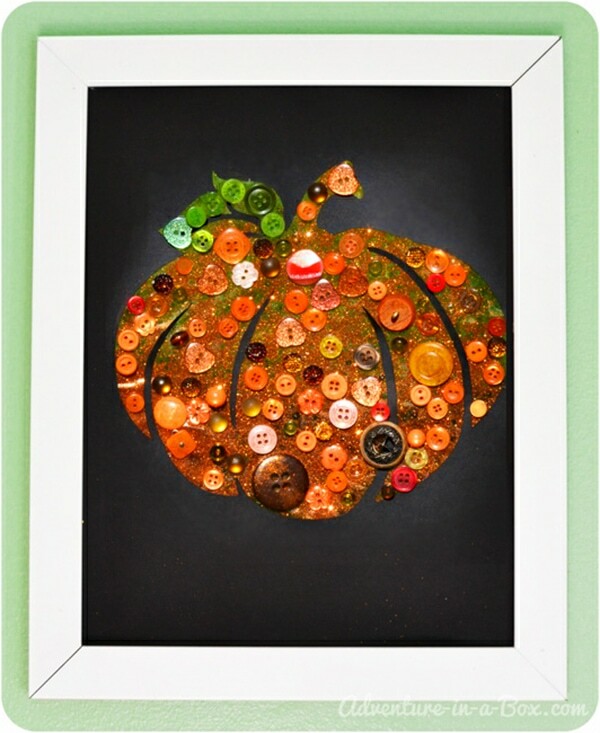 Looking for another fall craft project you can do with kids? 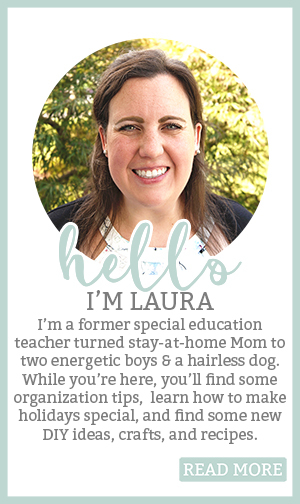 Let them get crafty with you this fall. 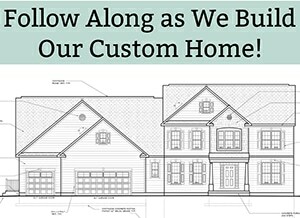 They will feel extra special that they helped create a decoration for your home. I know, it’s not Christmas yet. 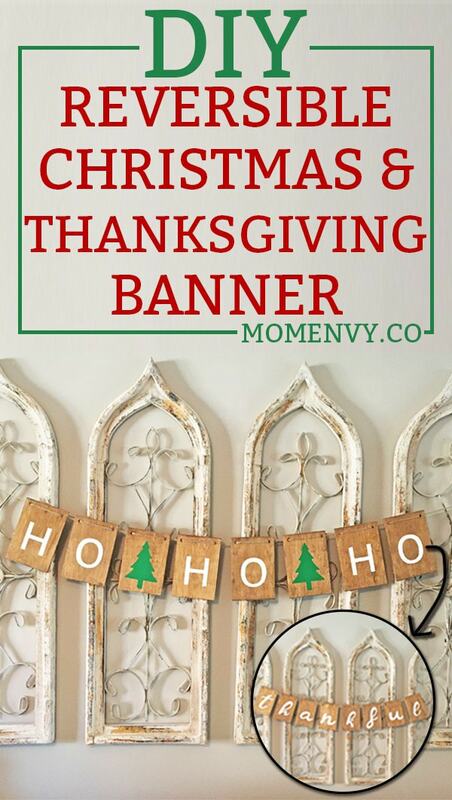 But, this super simple banner my parents created is reversible. You can put it up for the fall and then flip it around for Christmas. The SVG files are included. Are you a bibliophile? 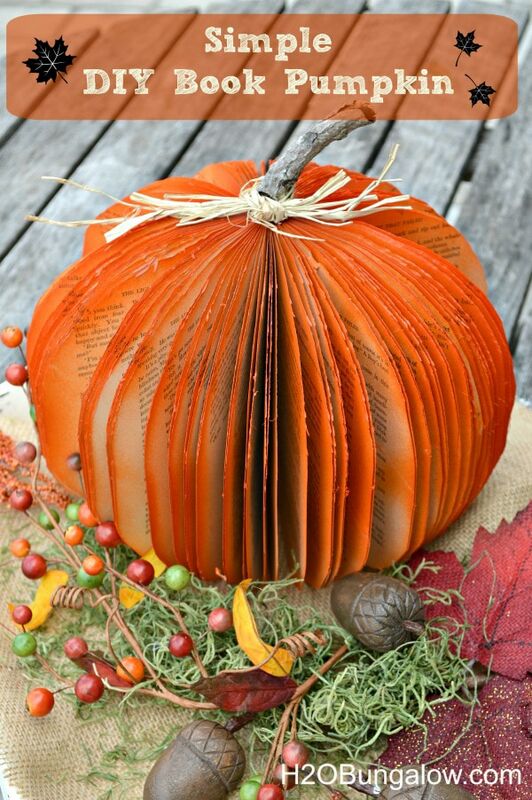 Why not combine your love of books with fall decor? This is a great way to reuse old sweaters that you were going to toss anyway. 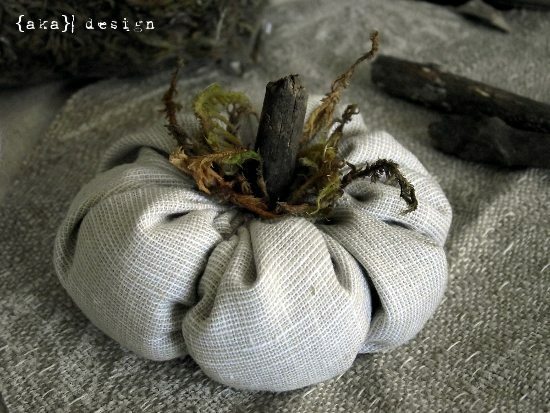 These pumpkins have great texture and will really warm up a space despite the solid cream color. Are you in need of a fall garland? 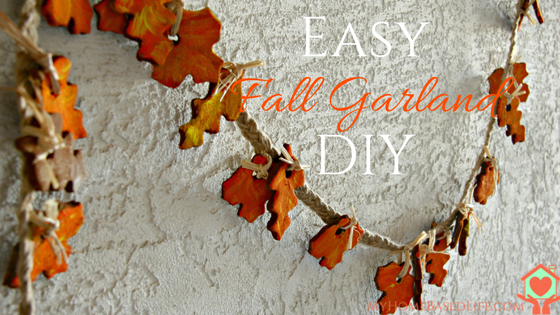 Try out this DIY leaf garland. Packing paper? Seriously. 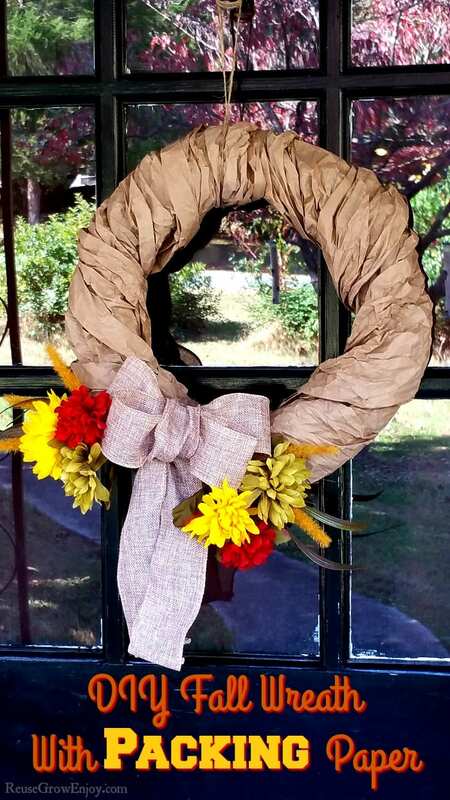 Who knew you could make a fun fall wreath with packing paper. These scarcrows have been around for a few years and I never get sick of them. They’re just too adorable. Plus, you can paint a snowman on the reverse side. 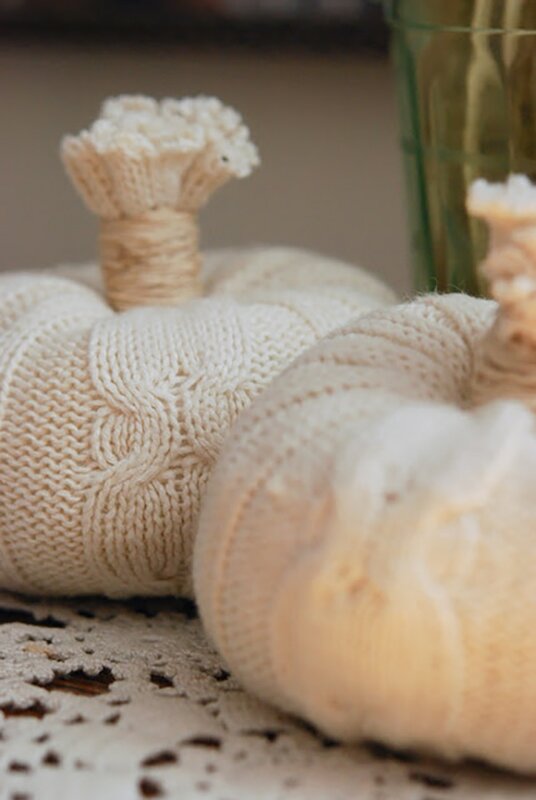 Just like the sweater pumpkins, these pumpkins bring a bit of softness to a room. Their leaves are a great addition for some added texture and color.